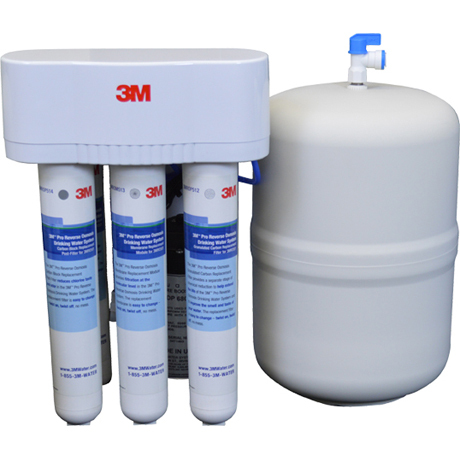 3M Aqua-Pure 3MRO501 Drinking Water Filter - $995.83! The genuine OEM 3M Aqua-Pure 3MRO501 Pro Reverse Osmosis Drinking Water Filter is designed for municipal/treated and non-chlorinated/well water systems. 3MRO501 is NSF-listed to reduce sediment, chlorine Taste & Odor, cysts, arsenic, barium, cadmium, chromium (Hex), chromium (Tri), copper, fluoride, lead, radium, selenium, the VOC p-Dichlorobenzene, nitrates, turbidity, and total dissolved solids (TDS)*. *NSF certification for Arsenic reduction stipulates that this product is intended for use only on water supplies that have been shown to be at or below the referenced concentration and valency of arsenic.